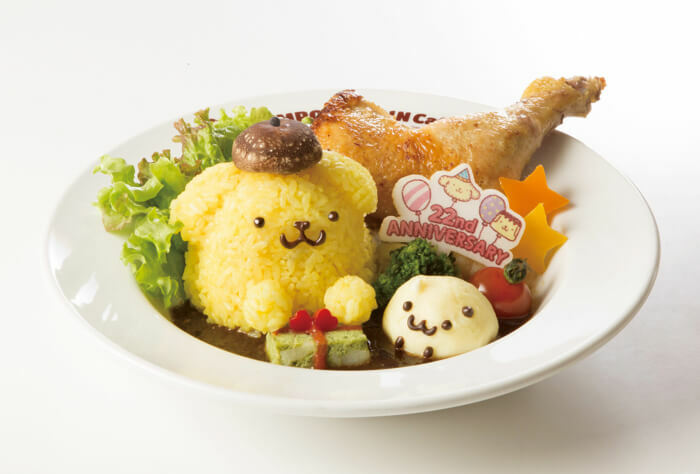 The four Pompompurin Cafe branches in Harajuku, Umeda, Yokohama and Nagoya are introducing a special birthday menu to celebrate the popular Sanrio character’s birthday. The menu will be available from April 1st to April 30th. 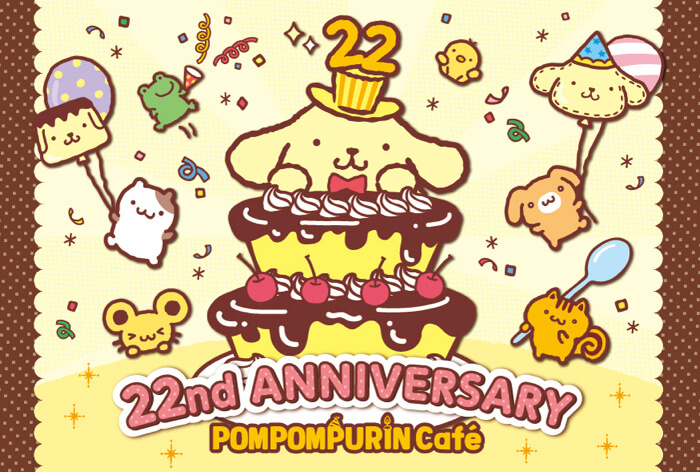 April 16th marks Pompompurin’s 22nd anniversary! Throughout next month you’ll be able to enjoy a line-up featuring a limited-edition meal and dessert available only during this celebratory period. With the tasty meal you’ll receive warm and fluffy Pompompurin rice, plump roast chicken and mash potato made to look like Muffin. You can also get a gift box with a red ribbon! The Happy Birthday! Roast Chicken is a gorgeous plate packed with cuteness and decorated with star-shaped vegetables. 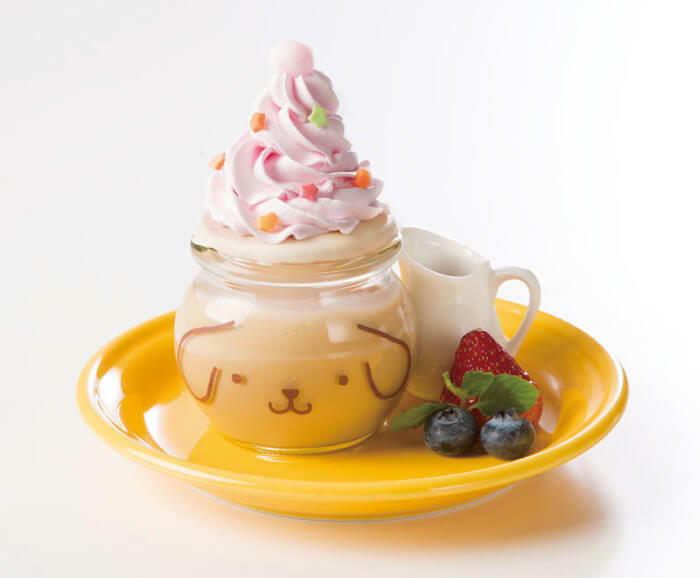 The Pompompurin Celebratory Black Tea Pudding has Pompompurin wearing a hat made of light pink strawberry cream and it comes with rich, creamy tea. Those who eat a meal at one of the cafes will receive a postcard with a limited-edition birthday design and a pin badge! But be quick, because there’s only a limited amount available. 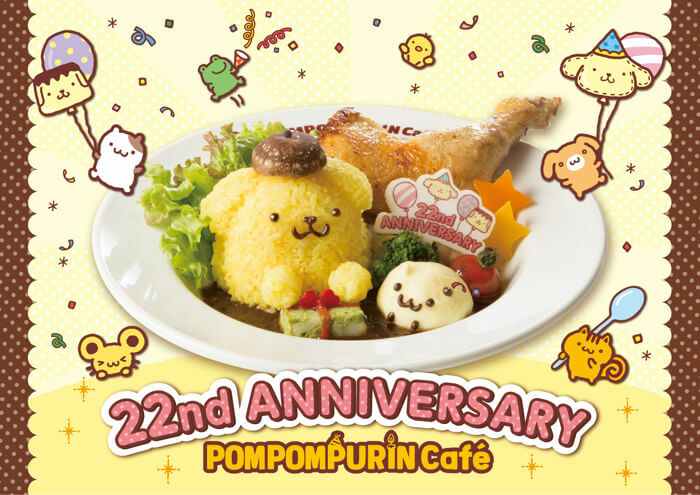 Celebrate Pompompurin’s 22nd anniversary with the kawaii Pompompurin menu!